It's here. 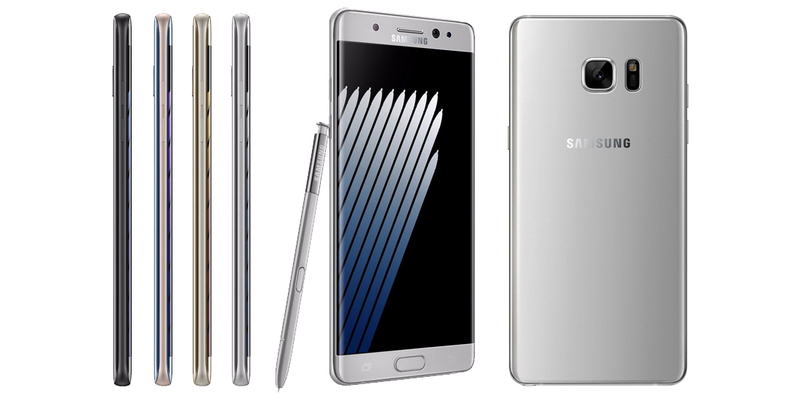 The Samsung Galaxy Note 7, and can be purchased now, although it had not been released yet. This translates into a very public knowledge about this highly anticipated device,about which we will tell you everything already known. We see, for example, that the design is very similar to the Galaxy S7, including the unique curvature at the edges of the phone. The special features of this device are undoubtedly water resistance and traditional S Pen, the improvement in performance as well as aesthetics and ease of use, thanks to a thinner tip; also it allows you to write notes with screen off thanks to Always On Memo. These notes will be saved when the device is unlocked. Galaxy Note 7 features a screen HDresolution of 5.7-inch Super AMOLED. The improvement in the graphic is complete, especially on games and picture quality. As for security, we speak of a high-end phablet, which features the latest in terms of iris scanners and fingerprint recognition (although it also offers the option of giving a tap or add a code). Among the strengths of the Galaxy Note 7 we can not ignore the photographic section: Dual Pixel 12-megapixel sensor that ensures high quality even in low light conditions; adds an internal memory of 64 GB, expandable up to 256 GB through the microSD slot, and 3500 mAh battery and wireless charging. As for the rest of the hardware: it includes an Octa-Core processor 31% more powerful than its predecessor, 4 GB of RAM, and GPU 58% more powerful than its predecessor. Like any common device, as are marketed or prototypes are available emerge the first tests of speed and resistance. Samsung Galaxy Note 7 is the first smartphone in the world that incorporates Corning Gorilla Glass 5 protection, which in theory they become much tougher, but some evidence seems to refute this possibility. While the results of speed tests seem to indicate that the Galaxy Note 7 would be slower than the competition. In the initial speed test, released on XDA forum, has been overtaken by HTC 10 and OnePlus 3. The device will go on sale from September 2 at a price that will be around 900 euros. Pre-orders began on August 16.